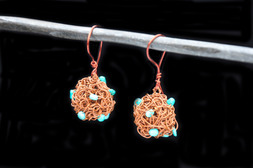 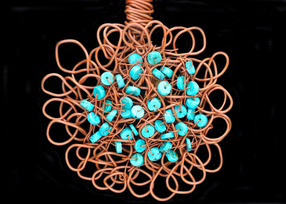 This marriage of brown copper wire necklace, ring, cuff bracelet and earrings with blue turquoise beads represents passion, fusion and infusion. Brown copper wire and turquoise beads necklace. 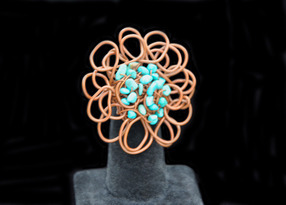 -Turquoise promotes self-realisation and assists creative problem solving. 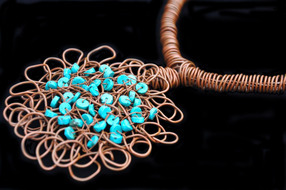 It is a symbol of friendship, and stimulates romantic love. 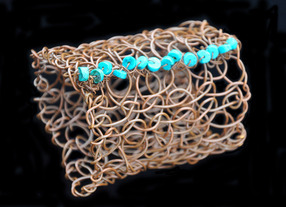 The marriage of the brown copper and blue turquoise beads gives to the cuff bracelet his uniqueness and senerity. 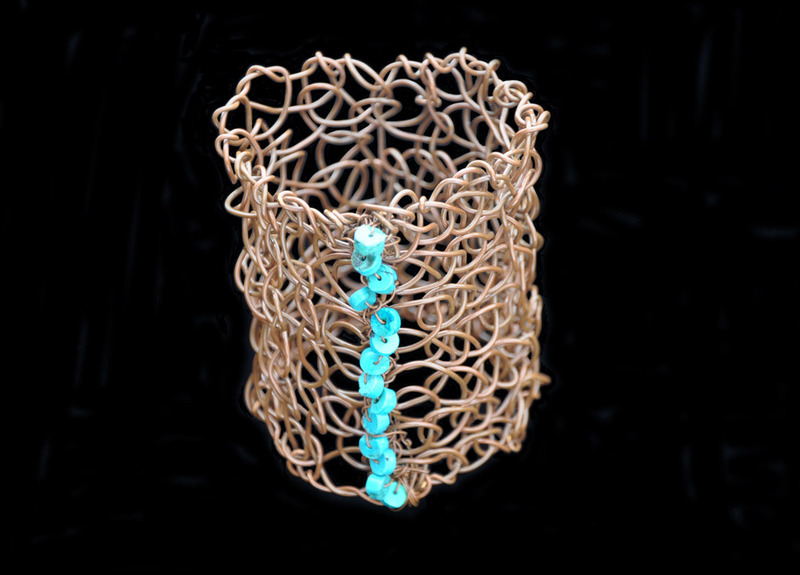 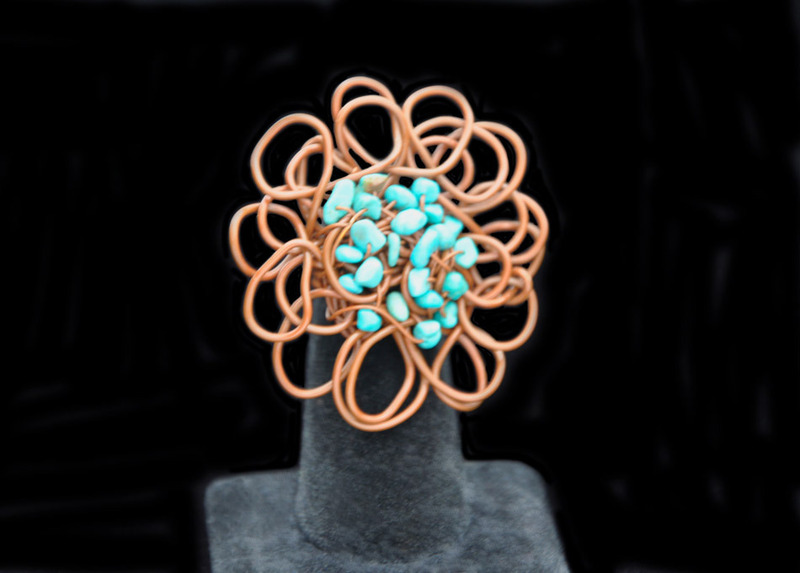 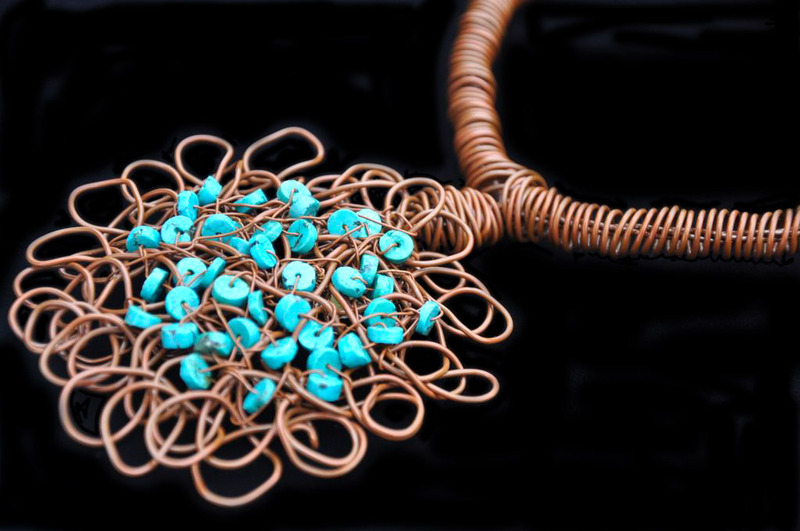 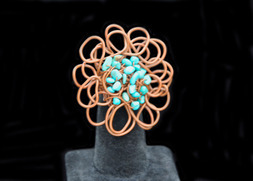 Clafoutis of turquoise beads with brown copper wire handmade ring. 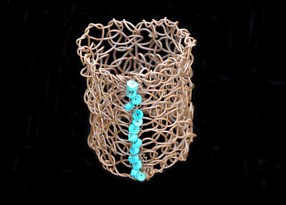 Handmade brown copper wire ring with turquoise beads.